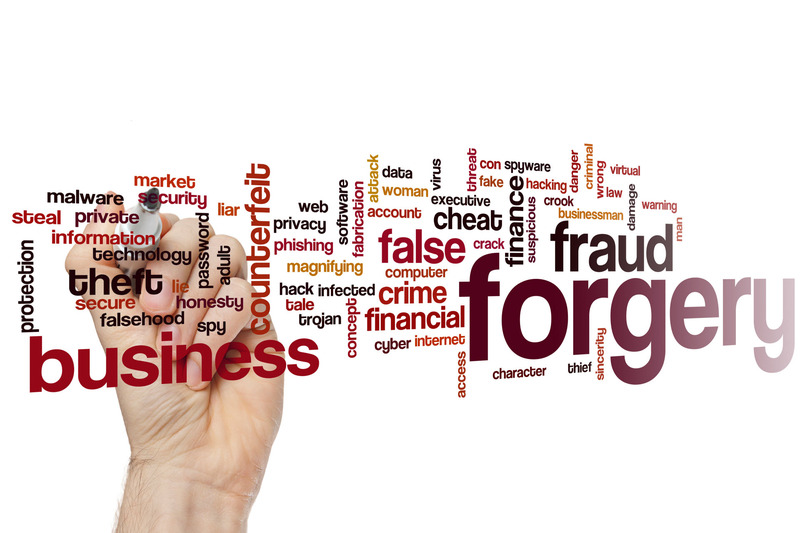 Theft, fraud, and embezzlement are always concerns of any business owner. These may be expenses you don’t know you have. Hopefully not! What is known as the fraud triangle is a model that explains the three behavioral traits necessary for the occurrence of occupational theft. These characteristics are: (1) Need; (2) Opportunity and (3) Rationale. If you can block any one of the three traits then you may have saved the day. Over the years I have seen numerous instances of stolen cash and other assets. I always tell business owners that problems may very well arise from an employee that you suspect the least. I would love to tell you these thefts were very complicated, sophisticated schemes. They were not. Internal controls were simply lacking. How were these thefts discovered? No real detective work was involved – typically, the culprit was just careless such as bouncing a check to a vendor that company did use and the owner being called for payment. Perhaps in these cases, the owners were too trusting, not that trust is a bad thing – but, owners must inspect what they expect. Most internal controls revolve around separation of duties. That is all well and fine, but too often in a small business, your accounting department may consist of only one or two employees. With a limited number of staff a full separation of accounting duties is simply not always feasible. When limited staff is the case, the owners must share a greater role in internal controls or employ someone else for that responsibility. I often wonder how much fraud goes on, unnoticed – where the culprits are never brought to justice. Here are 17 financial controls that may help safeguard your business. 1. If the owner is not vigilant about reviewing the online banking activity then the bank statements should be mailed to their home. The business owner should open and review these bank statements. Whether online or with your bank statements mailed – review cleared checks for the payees, amounts and endorsements on back of the check. AND, be sure your staff is aware that you are doing this by questioning transactions from time to time. This over watch is a great deterrent if nothing else. 2. Preferably, someone other than the person making deposits should prepare monthly bank reconciliations. 3. Use a separate post-office box for accounts receivable payments instead of having the funds come directly to your office. 4. Consider the bank automatically sweeping excess funds from the main operating business account into another account that is controlled only by the owner. 5. No one should pre-sign blank checks and only the owner should sign checks. Period. There are better ways for expenses to be paid if you are out of town. Examples include company credit cards, two party “ACH” systems from your bank, or a two party check system with clear limits on the available cash held in that account. 6. Any accounts receivable write-offs should be approved in writing by the owner or management. 7. Use pre-numbered invoices and maintain an invoice log. Same system for checks. 8. Aged accounts receivable reports should be reviewed weekly by the owner or management. 9. Customer lists should be regularly reviewed by the owner and management for potential fake customers. Same system for your vendors’ lists – check for fictitious names. 10. Look for other ways to confirm your sales/cash receipts. For example, compare the percent of your sales on account versus the amount of cash received and/or your gross profit margins and other key metrics. If any of these numbers are off – investigate. 11. Purchase invoices should be approved and reconciled with purchase orders by the owner or management. 12. Control company credit cards. Review. Require receipts and invoices. Have an expensing policy which explains what expenses are allowed and their appropriate authorizations. Staff should sign off on their expense reports as to their truth and accuracy. 13. Have “bidding and estimating” procedures that minimize risks of bribes, kickbacks, or other illegal collusion. 14. Be certain any software or other purchase that the company pays for be owned and titled in the company name. This includes checking that the company is the one named with the software vendor or other supplier. 15. Thoroughly check staff and contractors before you hire them. Consider criminal background checks, drug testing, and credit checks. 16. Check with your insurance agent. Consider bonding staff or getting other appropriate insurance coverages. Typically, this coverage is not terribly expensive. 17. All overtime should be approved by management prior to it being worked. Nothing on our planet is more valuable than our time. Where we must prevent failure. Note: Owners should be spending their precious time and energy on the Make or Break situations. They should not be worried about the day to day focus. It should be taking care of itself with the right systems and processes (although not perfectly). Trust that you have the right people to do so; if not find them. Too often owners are spending time on the minutiae instead of the all important “Make or Break” issues. This is where the rubber meets the road. Be a better leader every day. 1862 – President Lincoln signed into law a revenue-raising measure to help pay for Civil War expenses. The measure created a Commissioner of Internal Revenue and the nation’s first income tax. It levied a 3 percent tax on incomes between $600 and $10,000 and a 5 percent tax on incomes of more than $10,000. 1867 – Heeding public opposition to the income tax, Congress cut the tax rate. From 1868 until 1913, 90 percent of all revenue came from taxes on liquor, beer, wine and tobacco. 1872 – Income tax repealed. 1894 – The Wilson Tariff Act revived the income tax and an income tax division within the Bureau of Internal Revenue was created. 1895 – Supreme Court ruled the new income tax unconstitutional on the grounds that it was a direct tax and not apportioned among the states on the basis of population. The income tax division was disbanded. 1909 – President Taft recommended Congress propose a constitutional amendment that would give the government the power to tax incomes without apportioning the burden among the states in line with population. Congress also levied a 1 percent tax on net corporate incomes of more than $5,000. 1913 – As the threat of war loomed, Wyoming became the 36th and last state needed to ratify the 16th Amendment. The amendment stated, “Congress shall have the power to lay and collect taxes on incomes, from whatever source derived, without apportionment among the several states, and without regard to any census or enumeration.” Later, Congress adopted a 1 percent tax on net personal income of more than $3,000 with a surtax of 6 percent on incomes of more than $500,000. It also repealed the 1909 corporate income tax. The first Form 1040 was introduced. 1918 – The Revenue Act of 1918 raised even greater sums for the World War I effort. It codified all existing tax laws and imposed a progressive income-tax rate structure of up to 77 percent. 1919 – The states ratified the 18th Amendment, barring the manufacture, sale or transport of intoxicating beverages. Congress passed the Volstead Act, which gave the Commissioner of Internal Revenue the primary responsibility for enforcement of Prohibition. Eleven years later, the Department of Justice assumed primary prohibition enforcement duties. 1931 – The IRS Intelligence Unit used an undercover agent to gather evidence against gangster Al Capone. Capone was convicted of tax evasion and sentenced to 11 years. 1933 – Prohibition repealed. IRS again assumed responsibility for alcohol taxation the following year and for administering the National Firearms Act. Later, tobacco tax enforcement was added. 1942 – The Revenue Act of 1942, hailed by President Roosevelt as “the greatest tax bill in American history,” passed Congress. It increased taxes and the number of Americans subject to the income tax. It also created deductions for medical and investment expenses. 1943 – Congress passed the Current Tax Payment Act, which required employers to withhold taxes from employees’ wages and remit them quarterly. 1944 – Congress passed the Individual Income Tax Act, which created the standard deductions on Form 1040. 1952 – President Truman proposed his Reorganization Plan No. 1, which replaced the patronage system at the IRS with a career civil service system. It also decentralized service to taxpayers and sought to restore public confidence in the agency. 1953 – President Eisenhower endorsed Truman’s reorganization plan and changed the name of the agency from the Bureau of Internal Revenue to the Internal Revenue Service. 1954 – The filing deadline for individual tax returns changed from March 15 to April 15. 1961 – The Computer Age began at IRS with the dedication of the National Computer Center at Martinsburg, W.Va.
1965 – IRS instituted its first toll-free telephone site. 1972 – The Alcohol, Tobacco and Firearms Division separated from the IRS to become the independent Bureau of Alcohol, Tobacco and Firearms. 1974 – Congress passed the Employee Retirement and Income Security Act, which gave regulatory responsibilities for employee benefit plans to the IRS. 1986 – Limited electronic filing began. President Reagan signed the Tax Reform Act, the most significant piece of tax legislation in 30 years. It contained 300 provisions and took three years to implement. The Act codified the federal tax laws for the third time since the Revenue Act of 1918. 1992 – Taxpayers who owed money were allowed to file returns electronically. 1998 – Congress passed the IRS Restructuring and Reform Act, which expanded taxpayer rights and called for reorganizing the agency into four operating divisions aligned according to taxpayer needs. 2000 – IRS enacted reforms, ending its geographic-based structure and instituting four major operating divisions: Wage and Investment, Small Business/Self-Employed, Large and Mid-Size Business and Tax Exempt and Government Entities. It was the most sweeping change at the IRS since the 1953 reorganization. 2001 – IRS administered a mid-year tax refund program to provide advance payments of a tax rate reduction. 2003 – IRS administered another mid-year refund program, this time providing an advance payment of an increase in the Child Tax Credit. Electronic filing reached a new high – 52.9 million tax returns, more than 40 percent of all individual returns. Page Last Reviewed or Updated: 06-Jul-2016 (by the IRS). Maybe someday, the IRS will get around to updating their own website regarding their history to include the Tax Cuts and Jobs Act of 2017. Apparently, they don’t have a deadline like the ones imposed upon us. C’est la vie! These new changes take effect for divorces and legal separations after 2018. Prior law: Under the current rules, an individual who pays alimony can deduct the alimony or separate maintenance payments paid during the years as an “above the line” deduction. An “above-the-line” deduction is a deduction that a taxpayer need not itemize to deduct. These deductions are more valuable than an itemized deduction. And, under current rules, alimony and separate maintenance payments are taxable to the recipient spouse. Please note that the rules for “child support”—remain unchanged. Payers of child support don’t receive a taxable deduction. Recipients of child support don’t pay tax on those amounts. New law: A tax deduction for alimony no longer exists for the payor. Also, alimony is no longer taxable income to the recipient. 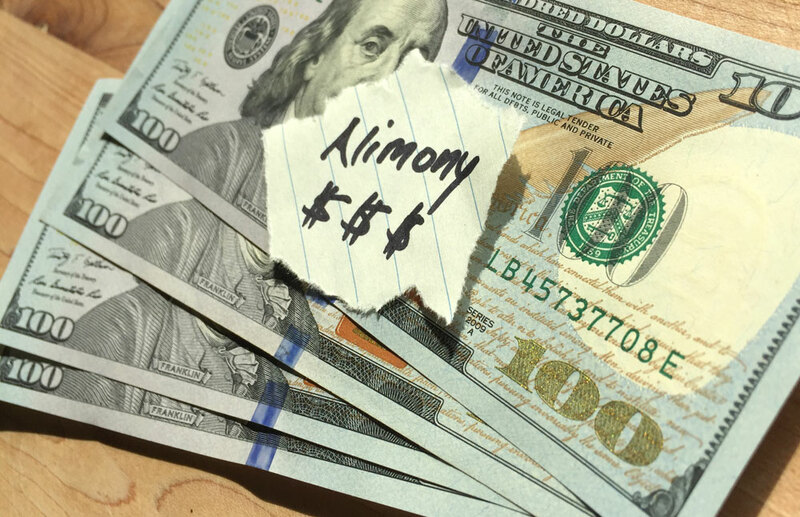 So, for divorces and legal separations that are executed after 2018, the alimony-paying spouse will no longer be able to deduct these payments and the alimony-receiving spouse doesn’t include the payments in gross income. Note: TCJA rules are not applicable to existing divorces and separations. It’s important to emphasize that the current rules continue to apply to already-existing divorces and separations, as well as divorces and separations that are executed before 2019. 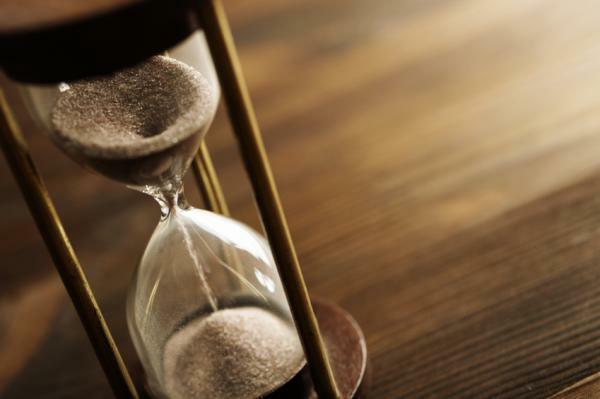 Under a special rule, if taxpayers have an existing (pre-2019) divorce or separation decree, and that agreement is legally modified, then the new rules don’t apply to that modified decree, unless the new agreement expressly states that the TCJA rules are to apply. Situations may exist where applying the TCJA rules voluntarily is advantageous for the taxpayers. If you wish to discuss the impact of these rules on your particular situation, please give us a call.